I really think that if I won big jackpot lottery, after buying myself a nice place to live and quitting my job, I would be perfectly happy to just sit around reading and crafting. I wish I had more time and energy to do just that. Is that sad? I have the day off today and I haven't done much at all. I'm recovering from two nasty nights at work and a an equally nasty cold. And I have been listening to a book that I just can't "put down." The Fault In Our Stars by John Green has me captivated. The only reason I am not listening to it right now is because Mom came home and my ears are bothering me too much to listen to it with my earbuds in. It's about a girl with cancer who meets a boy at a cancer support group and they obsess over a book about another girl with cancer and talk in a way that most teenagers don't. It's funny and sweet and sad. 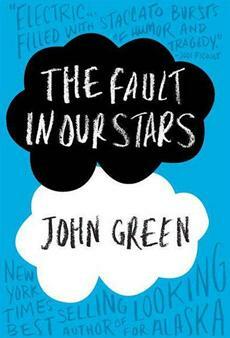 When I'm done with this, I am going to start over and then I'm going to look up John Green's other books.